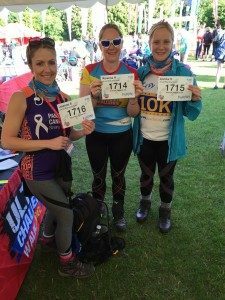 Jo, Rowena and Annika at the start of the 100km challenge. 2nd July 2016, to raise money for two charities that are close to their hearts. 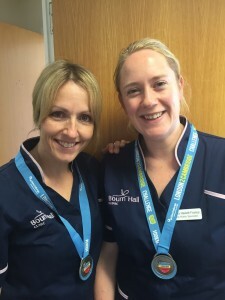 Their team was called ‘Jo Jo Row your boat’ after a childhood nickname and included Jo, Rowena and her sister Annika Symonds and friends Sarah Poynter and Wendy Collings. It has taken me a few days to write this as the experience has left us both physically and mentally exhausted! It was undoubtedly the most difficult thing we have ever done and the only word I have to describe it is Savage! It took 29.5 hours to complete it and of the 900 participants only 400 made the 100km Cambridge. The team finished in 29.5 hours. 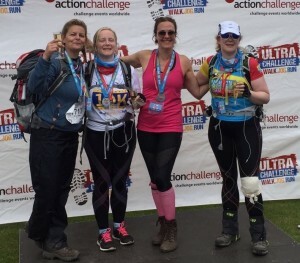 Unfortunately poor Jo had to retire at 71km as her feet were shredded by blisters, I stumbled on with the rest of our team to drag ourselves over the line at 13.30 on Sunday afternoon. I can safely say I would not recommend any of you ever attempt this unless you wish to push yourselves to the edge of sanity! Although Jo didn’t make it to the end she definitely did some of the hardest bits overnight and therefore we asked the organisers to give her a medal anyway, she really deserved it. Thank you again for all those who have supported us, knowing we were so well supported really helped during the tough times. Our links are below for anyone else who still wishes to support our charities, there is still plenty of time to donate. You can read how the team prepared on their two earlier blogs here and here.